We completed our first short sale back in 2005 and five years later short sales have become 70-plus percent of our listing business. During that time we authored and published, “Avoiding Foreclosure – The Field Guide to Short Sales” which is the anchor of our marketing strategy for short sales. The book was not designed to educate real estate professionals. It was designed to help homeowners and homebuyers understand the short sale process. While a few agents purchased the books for their own use, many were concerned that their clients would simply contact us. Those same agents asked us to produce a professional edition that they could use in their businesses. They asked for it and we delivered! Now available – an unbranded version of “The Field Guide to Short Sales” book. It has been re-titled “Avoiding Foreclosure – The Consumer Guide to Short Sales” and our contact information has been removed. Room has been left on the back of the book for you to label it with your contact information. 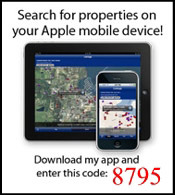 This is a great marketing tool to give to your potential short sale clients and almost always secures the listing! When searching the Multiple Listing Service (MLS), I’m often amazed to find listings with one or no photos. I wonder how the listing agents expect to effectively market the properties. There was a time when this was not a big issue but those times have passed. We need to take a look at where we were to understand where we are now and why photos are so important. There was a time when the MLS was simply a computerized tool to share listings with other REALTORs replacing the listing books of days past. As time went on, brokers started displaying the listings of other brokers on their web sites through the Internet Data Exchange (IDX) protocol. These IDX search portals allowed the public to access all active listings within a particular MLS. As Internet usage grew, so did the utilization of those search portals. In 1995, only two percent of consumers used the Internet during their home searches – in 2009, 88 percent start online. Why is this important? In the early days, we placed our listings into the MLS to market them to other agents. Now, we market to the public. What? If 88 percent of buyers start their searches online, then the online marketing has to appeal to that 88 percent. Multiple photos are critical to the marketing of a property. According to statistics complied by the National Association of REALTORs(R), properties with multiple photos have a 200-plus percent click-through rate over those with one or no photos! Virtual and video tours are appropriate for larger or unique properties. As consumers, you should review the online marketing completed by your agent. If you’re unhappy with any aspect of it, give your agent a call. Most of us are more than willing to modify the listing and/or explain the reasoning behind the marketing avenue chosen. 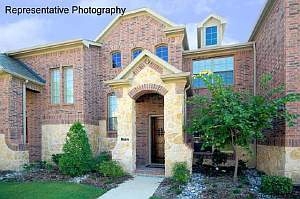 Plano TX Townhomes For Sale – Beautiful new construction with stone exterior. Gourmet kitchen with brkfst bar, upgraded cabinets, granite, stainless appliances, and gas cook top. Study with French doors. 8 ft Knotty Alder front door with wrought iron speakeasy. Many designer touches. Enclosed private patio with gas for BBQ. Full service HOA for low maintenance living. Ready October 2010. Price is for a 30 to 45 day close using approved lender. Here’s an interesting new bill introduced by Congressman Chaka Fattah (D-PA). It appears to call for a one percent transaction tax and the eventual elimination of individual income tax. • Amends the Internal Revenue Code to impose a 1% fee, offset by a corresponding nonrefundable income tax credit, on transactions that use a payment instrument, including any check, cash, credit card, transfer of stock, bonds, or other financial instrument. • Defines “transaction” to include retail and wholesale sales, purchases of intermediate goods, and financial and intangible transactions. • Establishes in the legislative branch the Bipartisan Task Force for Responsible Fiscal Action to review the fiscal imbalance of the federal government and make recommendations to improve such imbalance. • Provides for expedited consideration by Congress of Task Force recommendations. • Repeals after 2017 the individual income tax, refundable and nonrefundable personal tax credits, and the alternative minimum tax (AMT) on individuals. • Directs the Secretary of the Treasury to: (1) prioritize the repayment of the national debt to protect the fiscal stability of the United States; and (2) study and report to Congress on the implementation of this Act. Click here to read the entire bill. It’s an interesting concept although it appears to add substantially to the tax liability of Americans through 2017. It’s basically a National Sales or Value Added Tax. What are your thoughts on such a tax? Clearly it would impact homes sales as the one percent tax would have to be paid on the sale or purchase of real estate. I was scheduling showings this weekend for a couple of potential buyers. I selected the properties and called the showing service to set up times to show them. In this market, I’m always amazed by the showing restrictions. I was told the seller requires a 48-hour notice and a 30-minute showing window for all appointments and the home is vacant! I passed on showing it. As a heavy listing agent (75+ per year), I understand there are times when restrictions are necessary due to special circumstances such as a baby, home schooling, elderly or sick occupants, etc. However, if a seller makes the home too difficult to show, busy agents will pass it up. If you have to have notice, ask your agent to put the restriction and reason in the private remarks section of MLS. Most of us are very understanding and will try to accommodate the need for advance notice. Try not to reduce the showing window to less than 2 hours. The amount of time a buyer spends in a property varies with their interest. If your home is the fifth showing of the day, it is very difficult to plan on a 30-minute window. Buyers need to understand that it’s not always possible to show a home at the last minute as well. Routes need to be set up and showings scheduled in advance. A little planning and courtesy can go a long way for both parties!